I’ve been waiting to write this post for almost a year now. It’s the reason I started this blog; I was baking these cookies last Christmas when I got the idea to start writing about what was going through my mind – the regret of never spending more time with my grandmother, my love of baking, and the desire to actually start embracing it. If there’s one recipe that makes me think of my grandmother, it’s these shortbread cookies. They were her absolute specialty. She made them every Christmas by the dozens. If you dug through her cupboards any given day in December, you’d find five or six containers of them, always cut into triangles with a dollop of icing and half a cherry on top. She had them perfected, so they were always the perfect flaky, melt-in-your-mouth texture with a hint of almond. My whole family loved them, and she was so proud when she shuffled out of her kitchen with a tin to pass them around. I get a little butterfly in my tummy just thinking about it. Christmas always seems like a bigger deal when you’re a kid. You wait all year for it to come, and it seems to last forever. Sure, there were family fights and crises along the way, but nothing could subdue that feeling I got on Christmas Eve, lying in my bed willing myself to go to sleep so Santa could come. Even when I was a teenager, Christmas still gave me that tingly feeling inside. It was the one time of year when my whole family would get together, crammed together in my grandparents’ sweltering house on Prince Edward Island. We drove each other nuts, but it was Christmas, so we made it work. We’d laugh till our sides hurt, eat till our pants stretched at the waists, and in the evening, my grandmother would inevitably haul out the Rook cards and smoke us every round. Christmas hasn’t been the same since Granny and Pop passed away. I used to get really upset over it, almost to the point where I dreaded Christmas because it made me miss them so much. That’s why I started baking her shortbread cookies; it was like a part of her was still there when you opened up a tin and found those shortbreads. It’s been four years, but I still miss my grandparents a lot this time of year. I don’t think I’ll ever really get over it, but I’m at the point now where I can look past the fact that they’re not here. Now when I think of them at Christmas, I remember all the times they made me laugh, or how happy they’d be just to have the whole family there. My shortbread cookies aren’t nearly as good as my grandmother’s, and I don’t make nearly as many as she always would, but making them always brings back memories of her. 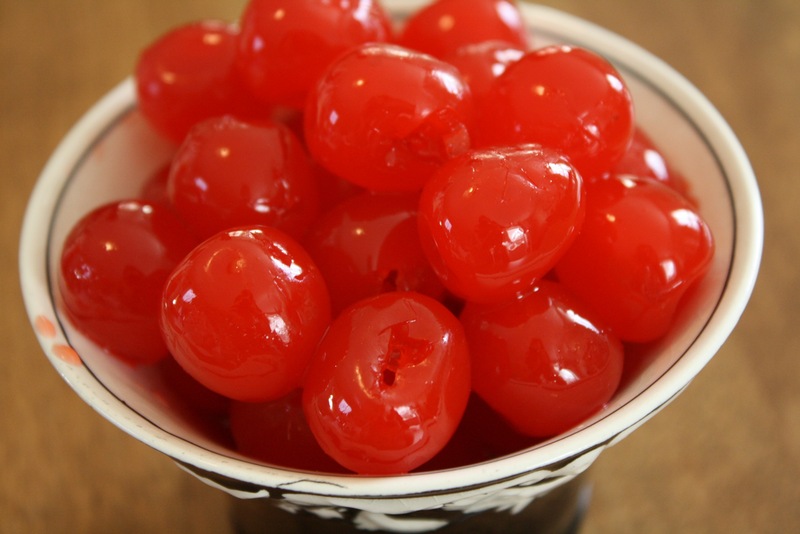 I smell her kitchen when I mix the almond extract into the icing, and just looking at the glossy red of the maraschino cherries puts me right back in her living room, surrounded by my family at Christmastime. In a large bowl, cream butter, shortening and icing sugar. Gradually add cornstarch and flour, mixing well with hand mixer. Add salt and a splash of almond extract, then blend well. Knead dough into a ball, cover with plastic wrap, and refrigerate for an hour, or until firm enough to roll out. 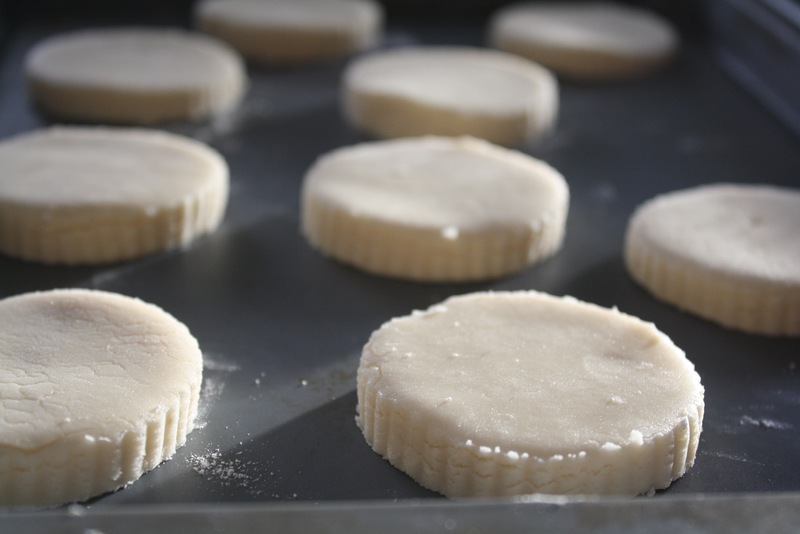 Once dough is chilled, roll out on a floured cutting board until 1/4 inch thick. Cut into desired shapes. Place on ungreased cookie sheet and bake for 18 – 20 minutes, or until bottoms start to turn golden. Let cool on the cookie sheets for five minutes before transferring to a wire cooling rack. For the icing, cream butter, vanilla or almond extract, and salt until fluffy. Blend in icing sugar and some milk (not too much at a time), alternating until smooth. 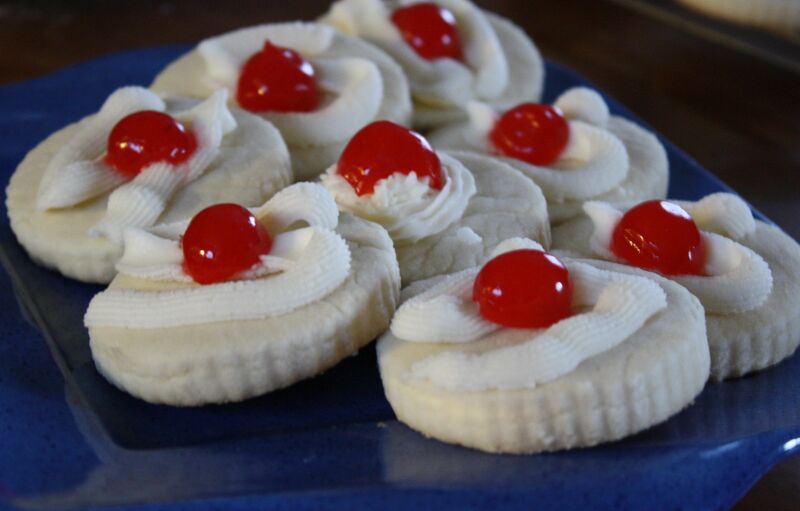 When cookies are cool, top each cookie with icing and half of a maraschino cherry. Merry Christmas Gillean. Great recipe. I really miss your grandparents, but also have lots of great memories. I really enjoy reading your blogs and getting all the great recipes, especially those from your grandmother. We to miss droping by 91 Weymouth Street . Your grandparents always made my family so welcome . Hi Gilean, I really want to make your granny’s shortbread cookies but I have no idea what icing sugar is and/or how to make it. I looked it up on line but am still confused as there are several versions of the recipe. How do you make your icing sugar?